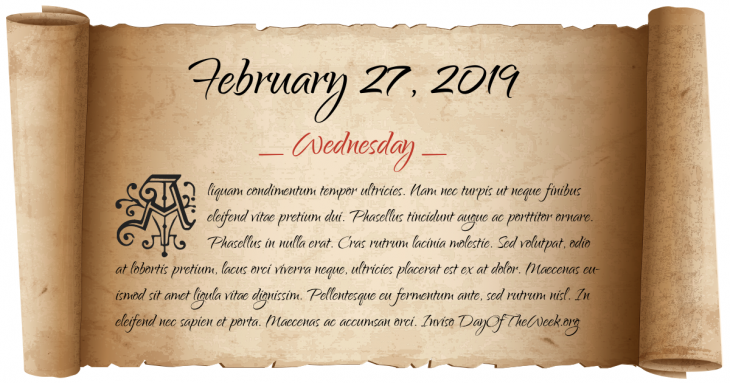 What Day Of The Week Was February 27? American Revolutionary War: the Battle of Moore’s Creek Bridge in North Carolina breaks up a Loyalist militia. Second Boer War: In South Africa, British military leaders receive an unconditional notice of surrender from Boer General Piet Cronje at the Battle of Paardeberg. Who were born on February 27?